Utilities: Cooker, microwave, fridge, dishwasher. Outdoors: Communal garden with garden furniture. Parking: Parking for 1 car. The property was very modern and had the most terrific views. 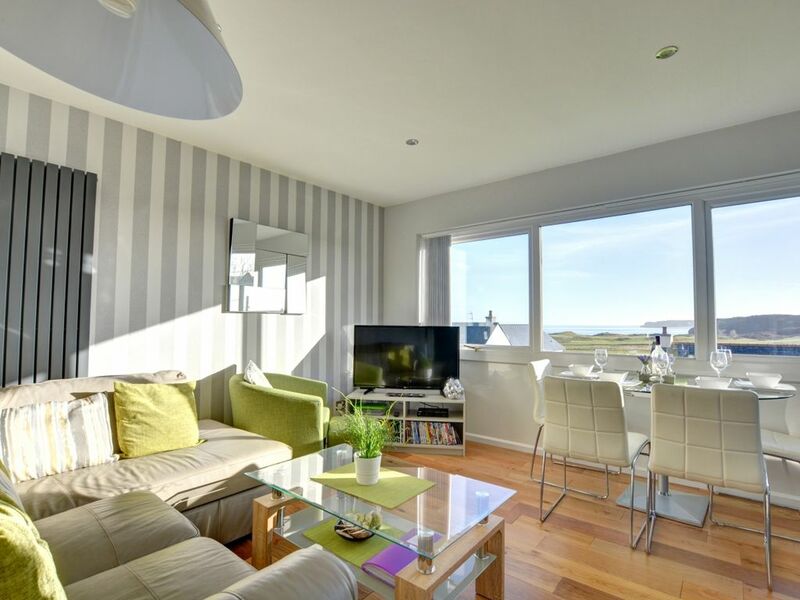 Yes we agree, Sea Fever does have stunning views, across the Tenby Golf Links, the sandy expansive South Beach and idyllic coastline. The owners have put a lot of thought and effort in providing excellent accommodation at sea Fever. We are pleased you enjoyed your holiday in Pembrokeshire and we hope to welcome you again in the near future.